It has been just over a month since the worldwide launch of the Playstation Vita (You can see my first impressions of it here) and now that I’ve had some more time with the console, I can add a thing or two to my earlier article about it. My main home screen, bubbles and all. 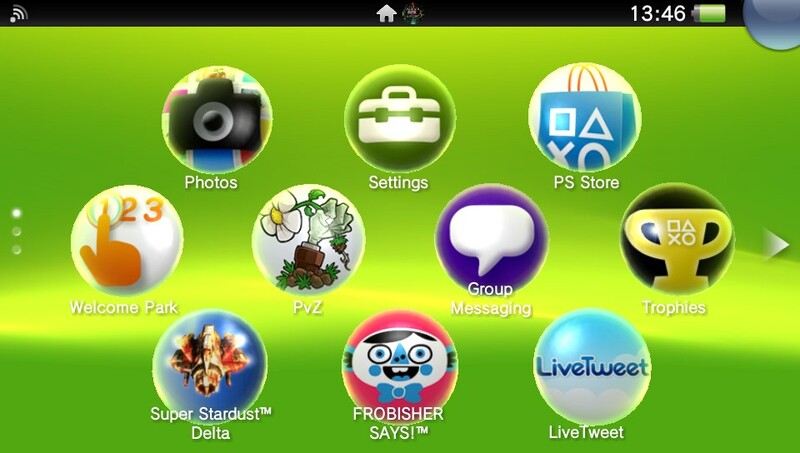 One of the things that has most impressed me in the last month about the Vita is its battery life. It’s a little refreshing to know that I have between four and a half to five hours to play around with on every charge (that’s while playing a Vita game with brightness and sound a decent way up) rather than the barely three hours the Nintendo 3DS yields at full stretch. My second home screen. 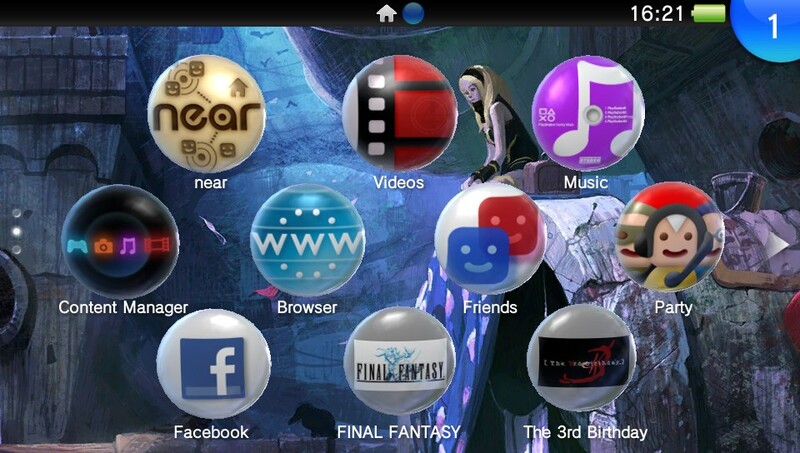 Notification at top right, wistful Gravity Rush image in background. I haven’t quite been as expansive in my exploration of everything the Vita has to offer in the past month as I would have liked to be. I have barely played Uncharted: Golden Abyss, for example, though what I have played is mightily impressive, and I haven’t even touched the free Augmented Reality titles available for download from the PlayStation Store. 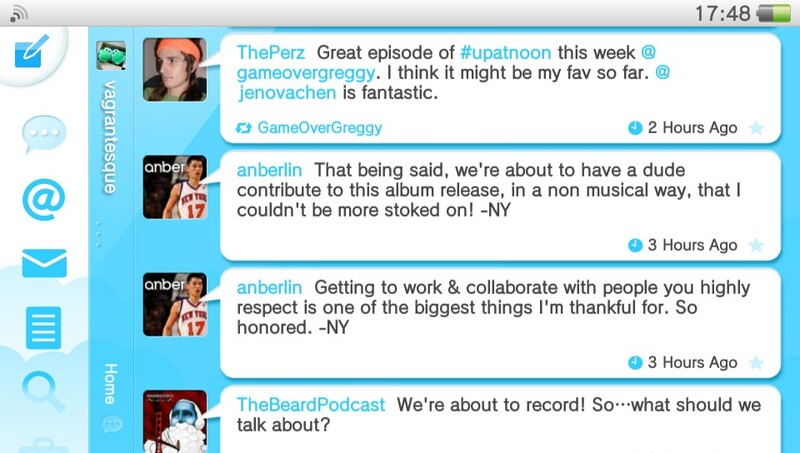 I can blame this on two things: trophy chasing and PSP content. 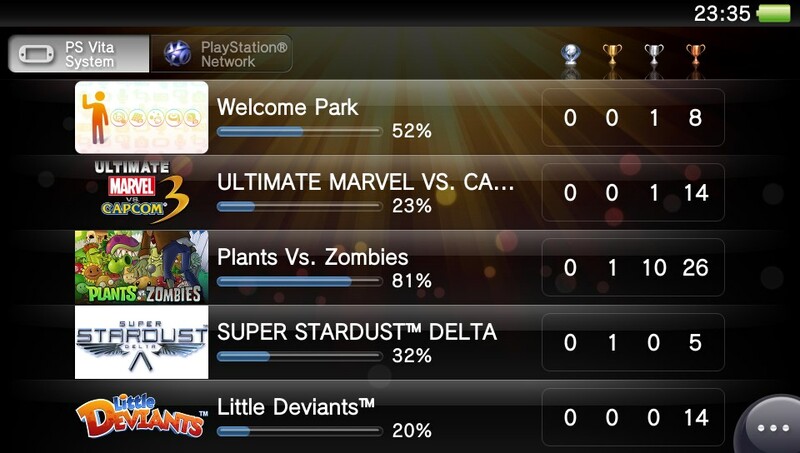 The debut of the PSN‘s trophy system on a handheld device has attacked my addictive personality even more viciously than the Achievement system on Xbox Live, by the sheer married facts that it is on a portable device and I have always favoured portable gaming over the couch-bound variety. 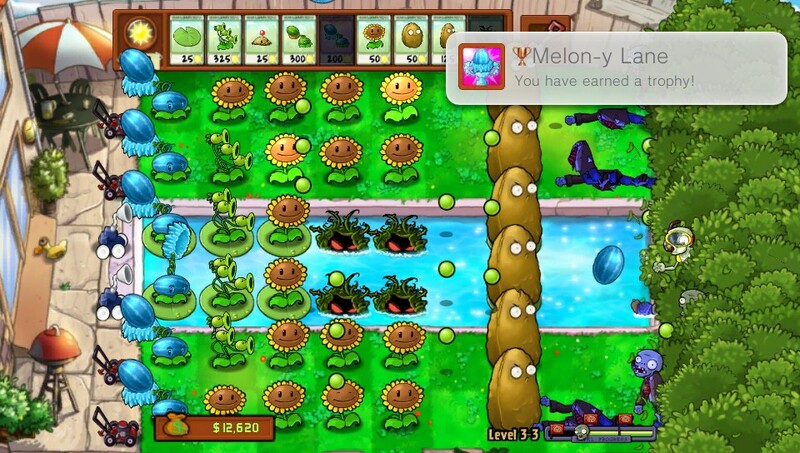 The lure of collecting even compelled me to purchase Plants vs Zombies for $20 on the store (still an excellent game) even though I had already finished it on my iPod Touch, just for the trophies. Yep. Oh that sweet, sweet sight. 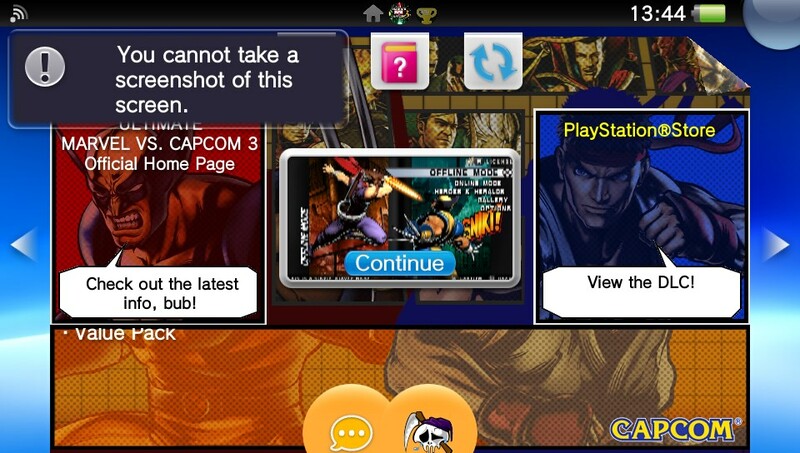 Trophies also drove me to play the Vita version of Ultimate Marvel vs Capcom 3 more than any other fighting game in the past, Super Smash Bros Brawl notwithstanding. As a result I got moderately decent at it and the clever idea of shared DLC between versions led me to buy the game on PS3. 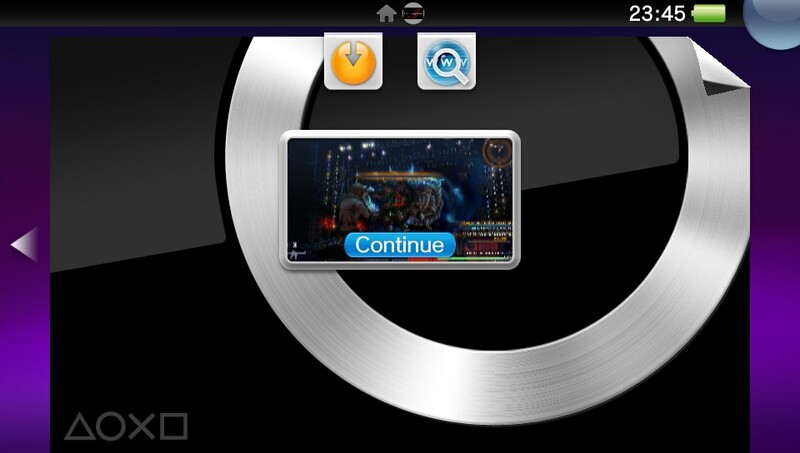 Sony has been adding PSP games to the Vita’s online store client gradually since launch, while discounting some of those already there. All of the Dissidia Duodecim DLC I bought or received via promotion is now also available for re-download, which wasn’t the case at launch. These robust changes convinced me to trade in my PSP and my pitiful library of games towards a voucher big enough to download those games onto my Vita. I started with The 3rd Birthday, a game I bought almost a year ago for PSP but never actually played. This is the best screenshot the system would let me take. That’s the game in action in the middle. The larger screen, the visual upscaling features, the faster load times and most critically the ability to configure the second analogue stick to control the game’s camera all contributed to my decision to download the game for $30 and finally start to play it. I’m having an absolute blast with the whole experience as a result. 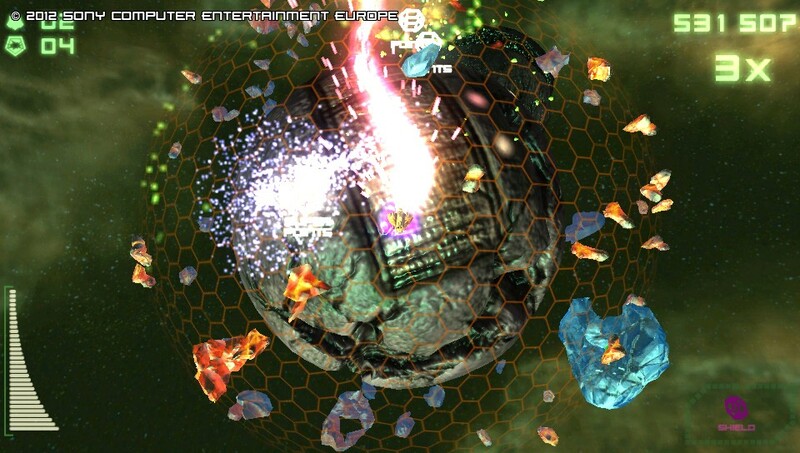 In other news, Super Stardust Delta is still incredibly awesome and everyone with a Vita should download it. Soothing, right? That colour speaks to your very soul.